Most homeowners often tend to complain about the lack of space and how they could do with an additional room or two. 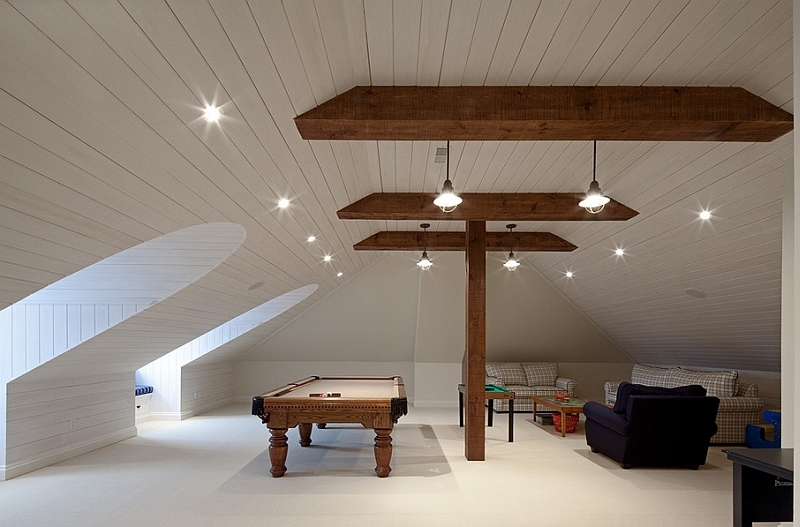 Both the basement and the attic are wonderful options for adding another living area to your home. While they are just poorly kept storage areas in many homes, it is possible to transform these forgotten nooks into gorgeous and functional spaces. Last week we looked at converting the basement into a modern bedroom, and today we take on the attic game room challenge. 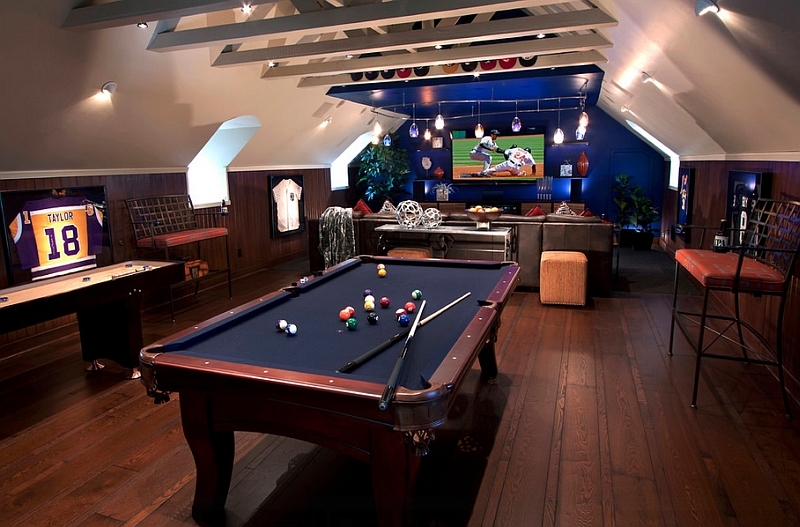 A game room in the attic comes with plenty of advantages and allows the entire family to spend some quality time together. While there are plenty of other little things about design and decorating that you can compromise on, the strength of your attic floor is simply non-negotiable! This becomes twice as important when planning for a game room in the attic. 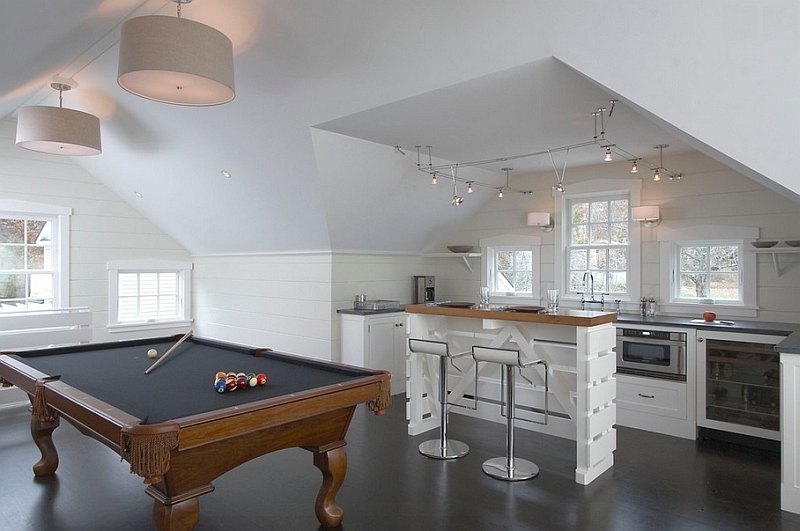 A typical game room could feature a pool table, ping-pong table or other heavy additions that require a strong floor. Add to this the frantic activity that often comes with a game room, and your floor really needs to be stronger than usual. Get an expert opinion on the structural strength of your attic before jumping into the renovation. 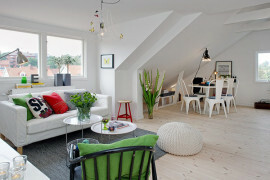 Whenever one is designing a small space, it is best to stick to a color scheme that is as simple as possible. In case of the attic, this is an absolute must. 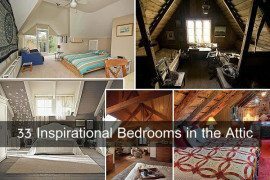 It is no coincidence that you see so many sloped ceilings of elegant attic rooms being covered in pristine white. 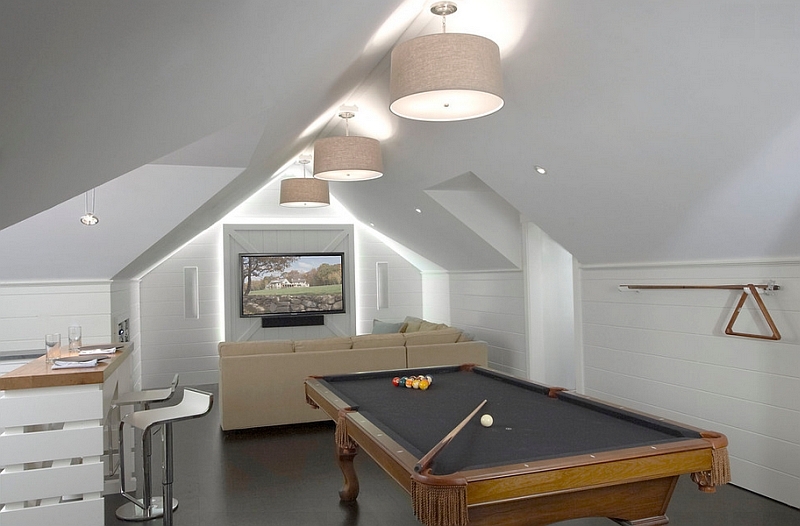 This uncomplicated yet stylish look reduces visual fragmentation of the space and allows your attic game room to appear much larger than it really is. Try and use just one or two accent colors at best, and keep the color palette as monochromatic as possible. Since you are converting the attic into a game room, there will be plenty of color brought in by all those game tables and accessories. 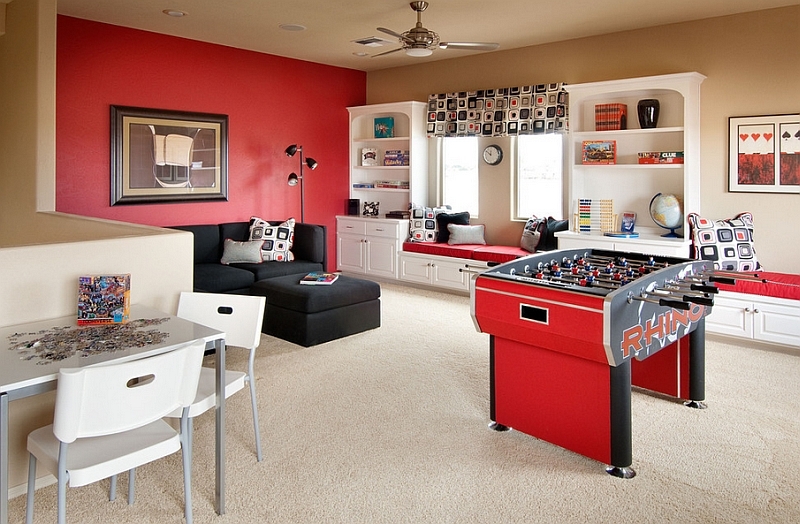 An overload of bright colors can quickly turn the attic game room into a congested and cluttered space. 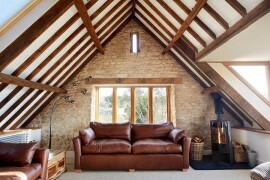 Add a mirrored surface or two if you wish to create a further sense of airiness in the attic room. 3. The Light Up There! One of the great advantages of turning the attic into a game room is the availability of ample natural light to tap into. Most attics feature a beautiful window or two that bring in plenty of light. Let the artificial lighting fixtures complement and enhance this natural illumination. 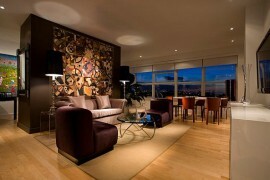 Using sconces and recessed lights offers this much needed ambient lighting and also saves up on precious square footage. Most game rooms do require plenty of focused lighting. Pendants are obviously the ideal choice here. You can even try opening up your stairway landing and ushering in the ventilation from the previous level. 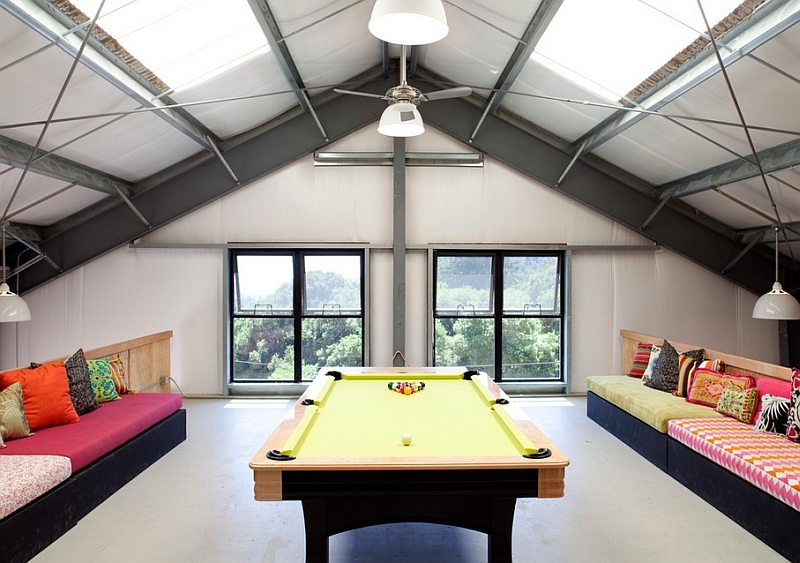 A game room without the right flooring looks unfinished and ungainly. Flooring lends a touch of sophistication and is a vital part of the game room, regardless of where in your home it is located. 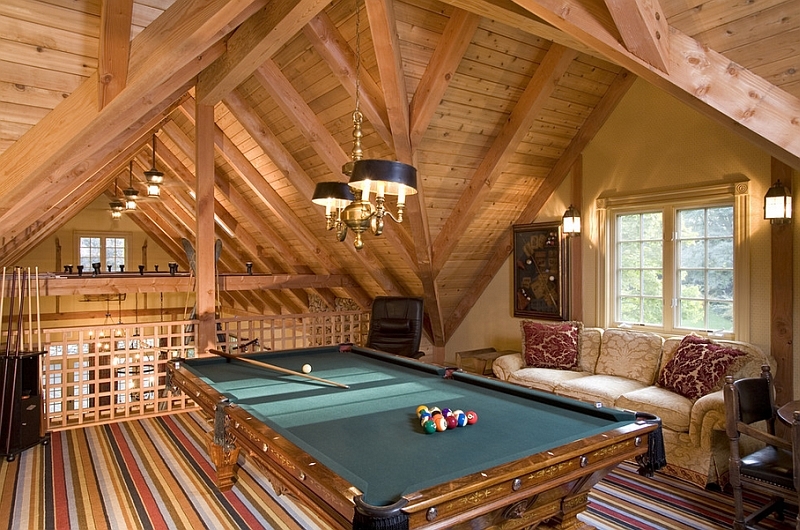 Your attic game room floor must be able to take some heavy-duty activity, and if you have kids around, it often does take a pounding. 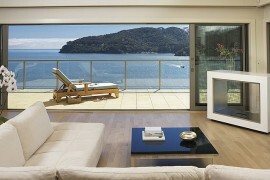 Wall-to-wall carpet is the ideal solution here. 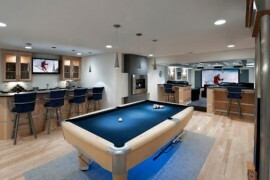 It brings inviting warmth to the game room and keeps the existing flooring scratch-proof. Carpet tiles are also an equally fine choice and can bring geometric pattern to the room. Nothing beats the coziness and the comfort of a tufted bench next to the attic window that offers beautiful views of the city skyline or the distant mountains! 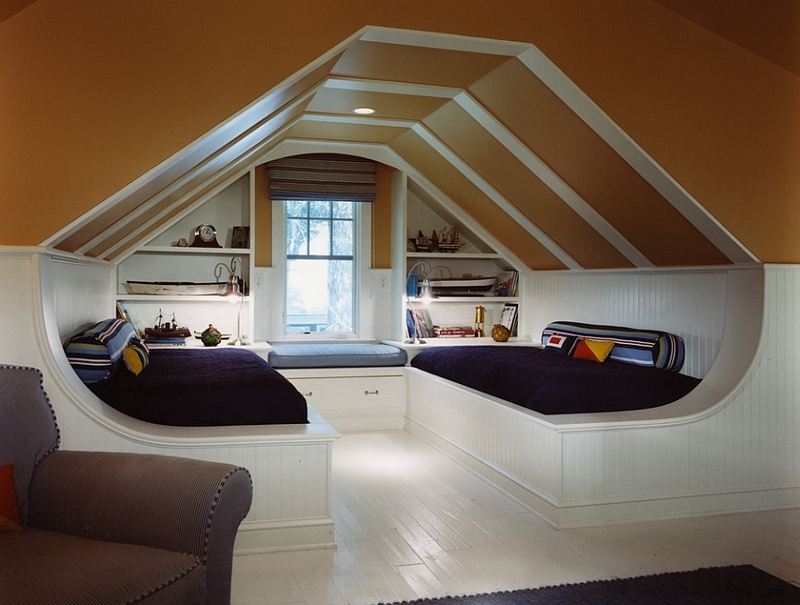 With sloped ceilings, attics are often short on vertical space. These cushioned benches offer ample seating, and you can even use this little nook to escape the rush and catch up on a few tranquil moments when the game room is not being used. Apart from the dreamy window seat, floor pillows and bean bags give you plush seating options without having to go for conventional chairs and bar stools. This is a choice that depends purely on the size of your attic game room. Any decor that one chooses must be proportional to the size of the room and the other gaming tables that are being used. Once again, try and avoid furnishings that have ornate embellishments and elaborate patterns in small attic rooms. At the end of the day, the game room is primarily all about games. (Can almost you hear you at home saying ‘D’oh!’ after that) An assessment of the strength of your attic floor will give you a fair idea of what you can work with. 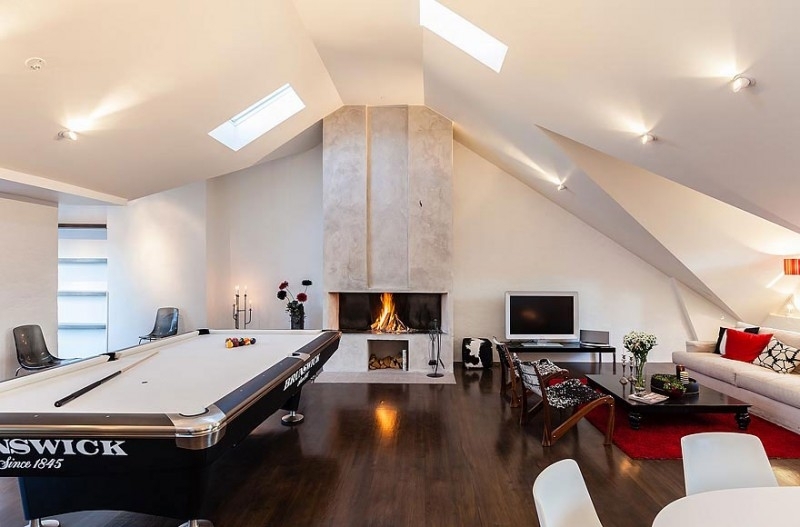 Some attics might not be strong enough to handle all the frenzy that comes along with a ping-pong table. Others might be too small to hold multiple gaming tables. But there are plenty of ingenious consoles out there that bring together billiards, ping-pong, air hockey and even foosball in a single table! Shop for such smart additions, and if you have any custom requests, do not shy away from placing specific demands. You will be surprised by what designers can get done these days! 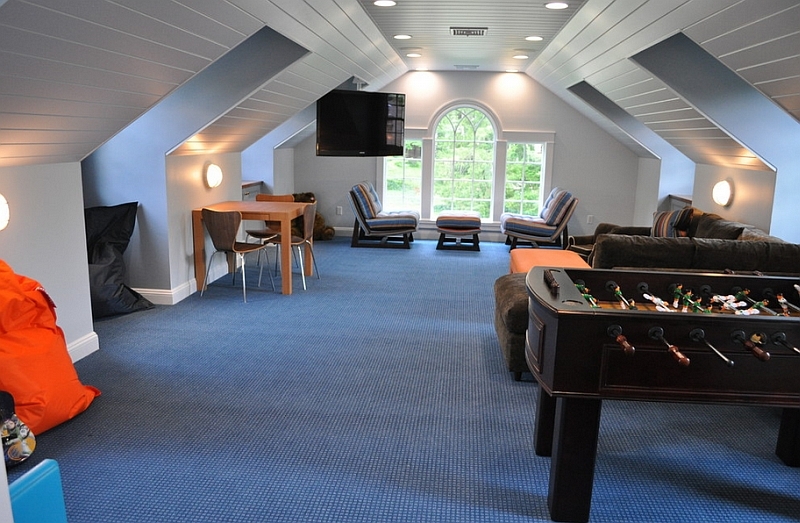 Every room needs its own focal point, and the attic game room is no different. The defining feature that steals the show and turns heads in the attic room need not be the usual accent wall that you use in bedroom and living rooms. 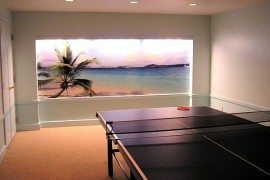 Instead, make the gaming table the focal point with the right focused lighting. If you are blessed with additional space, a small home bar, a sleek fireplace or even a cool entertainment unit can play this role with ease. 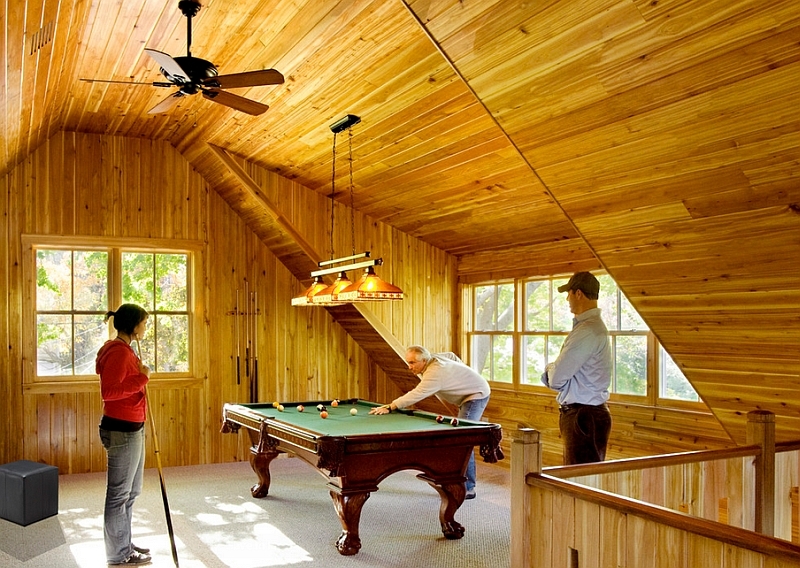 These additional features add value to the game room and also turn this attic space into a classy hangout. With all the hours that we spend in front of laptops, TVs and tablets, it is good to move away from the electronic noise and indulge in some physical activity once in a while. 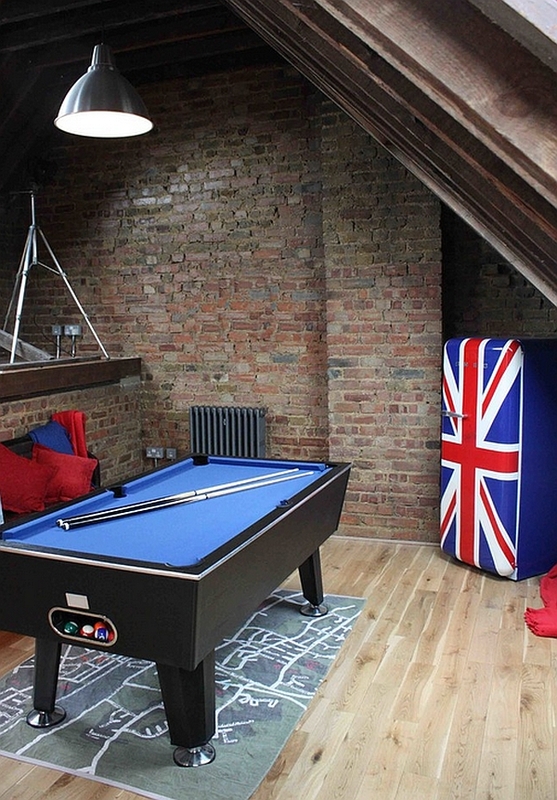 The attic game room encourages you to do so in a pleasing fashion. Thanks to its location, it also keeps noise down to a minimum so that others in the house are not disturbed. A perfect way to bring some excitement back into your life!